Joe was 91 at that time, and tasks as simple as getting out of bed, dressing, making toast and writing a sentence required Herculean effort. This was heartbreaking to see in a once vigorous journalist who interviewed countless celebrities for national magazines, yet Joe never lost the sense of humor that had always helped him through the tough times. Born on the Fourth of July, Joe died peacefully at home at 92 on Thanksgiving Day in 2013. In the last two years of his life, we had amazing conversations about what he was feeling and thinking as his health declined and Parkinson’s disease finally robbed him of his ability to walk. He spent the last few months of his life in bed, supported by hospice services as well as loving family members, friends and caregivers. 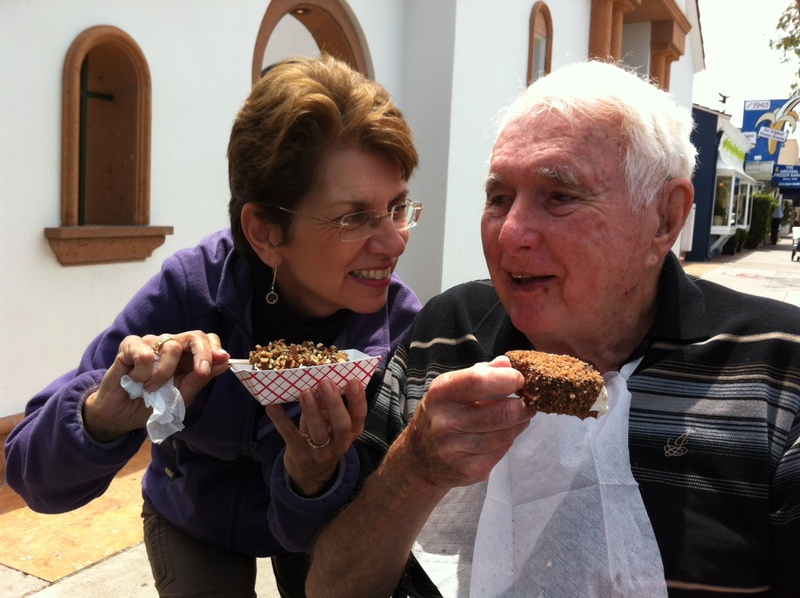 Joe savored martinis, apple fritters, baseball games, the sports page, and music. But most of all, he enjoyed the many visits from people who came to share memories of a life well lived, to help him make peace with the end of life and to say goodbye. I am among the growing number of Baby Boomers in this country who are coming to terms with our own mortality as we help aging loved ones through the final stage of life. This process is a powerful wake-up call about the importance of expressing our end-of-life wishes, and knowing those of our loved ones, in order to preserve our right to make our own choices about how we live and die. We all need to have conversations about our end-of-life wishes now – while we still can – so we can avoid aggressive, futile and outrageously expensive life-sustaining treatments that we don’t want and increase our odds of having meaningful quality of life right up to the end of our lives. Joe was part of my life for nearly four decades: as my writing teacher, editor and mentor; friend; husband; stepfather to my son; and a role model for confronting the vicissitudes of aging and the end of life with grace and courage. We had a long history of good communication, which made it easier for us to face tough issues together at the end of his life. Because we had both written down our wishes in an advanced directive and talked about them, I knew that Joe didn’t want doctors to use aggressive measures to prolong his life. I knew he wanted to die at home with as little medical intervention as possible. When medication for Parkinson’s caused him to hallucinate, I knew he would rather deal with the loss of physical agility than take any drug that would rob him of his mind. Because we talked about these kinds of challenges before they happened, and continued talking them through as they happened, I was able to give him the support he needed to make peace with dying and make the most of his last months, weeks and days on this planet. My end-of-life conversations with Joe brought us closer and led us both to a sense of acceptance and peace. There is always more to say, but before Joe died, we had the comfort of knowing we had said everything we needed to say to each other.